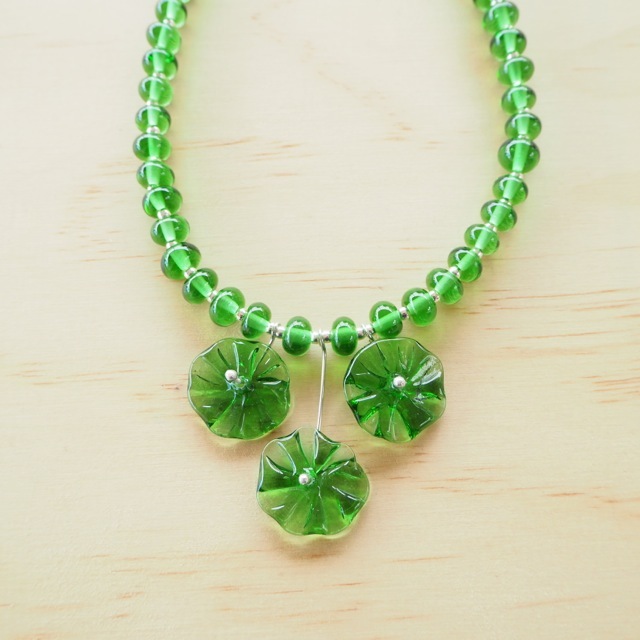 This necklace has a certain wow factor! 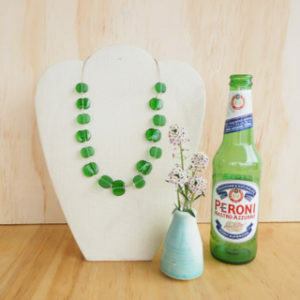 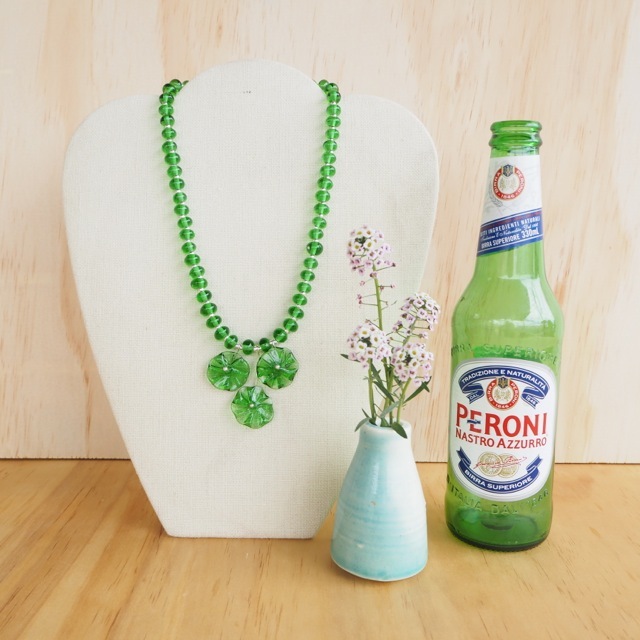 Not only does it look amazing, but the beads were made from a Peroni Beer Bottle, making it a real talking point. 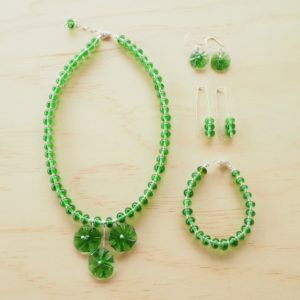 – You can select the variation that will suit you best, whether that is 3 flower drop beads or 5 flower drop beads. 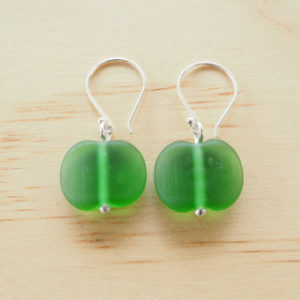 Feel free to let me know if you would like more than that! 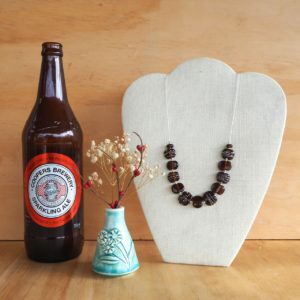 The 5 flower drop necklace costs $120 Australian Dollars. 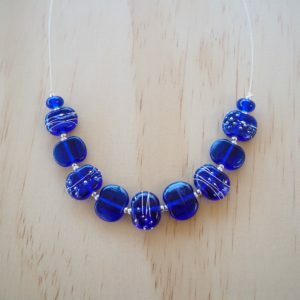 This necklace will be sent wrapped in tissue and enclosed safely in a box.